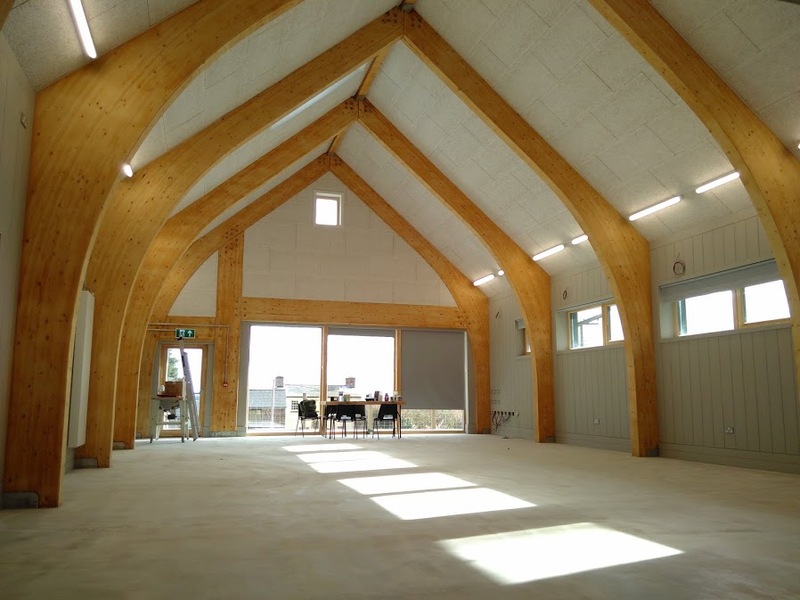 The Garway Community Centre in rural Herefordshire, UK, is an exceptional example of a Passivhaus building. It has been designed specifically to minimise running costs. 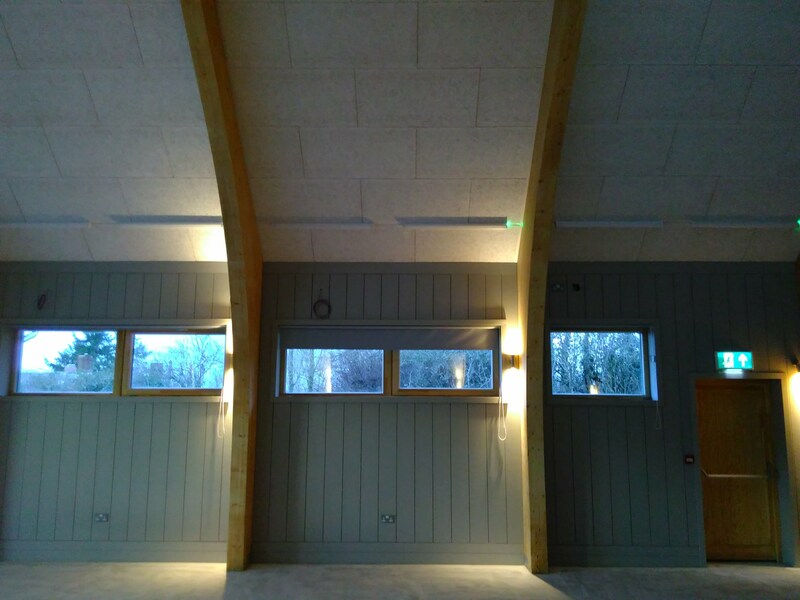 The project was funded with a grant from the UK’s Big Lottery Fund and provides the local community with a new village hall, health and social care outreach centre, café, and modern meeting facilities. It was clearly specified in the grant application that the building should meet the rigorous Passivhaus standards for energy efficiency and ecological footprint. Passivhaus buildings typically allow for heating and cooling related energy savings of up to 90% compared with typical building stock and over 75% compared with average new builds. The vast energy savings in Passivhaus buildings are achieved by using especially energy efficient building components and a quality ventilation system. The challenge for the architects was to provide highly efficient thermal and acoustic insulation using ecologically preferred materials. Heraklith Wood Wool panels were chosen as these provide strong sound absorption. Furthermore the panels offer excellent thermal insulation and fire protection properties and provide a high quality and attractive finish. The open surface structure of the boards ensure outstanding acoustic properties and because they are manufactured from natural and sustainable materials, they fully met the eco-friendly solution that the architects were looking for. Heraklith also provided the MSP anchor fixings with caps to match the colours of the panels. The architects, Simmonds Mills of Hereford, are specialists in ecological building design and focus on designing healthy, low-energy, high comfort domestic and non-domestic projects that meet the AECB Silver, Passivhaus and EnerPHit energy standards. They use both traditional and innovative building techniques to incorporate key principles of energy efficiency and the use of appropriate renewable energy resources. Heraklith sustainable wood wool boards are a perfect fit to their ambitions. Questions? We'll get in touch.